"Keith One Hundred" on Victoria Park. This 2 bedroom corner suite offers a spacious living space with an oversized wrap around patio. Solid concrete building in pro-active strata. 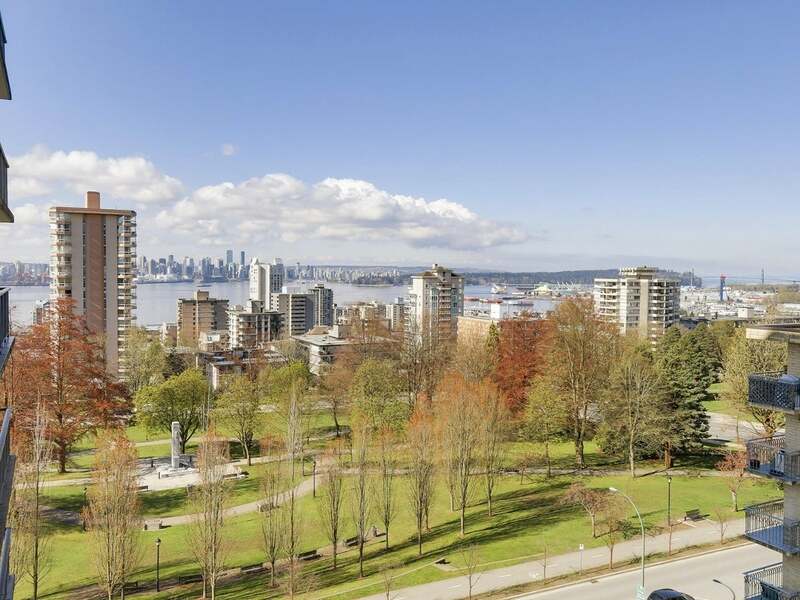 Stunning panoramic views from the main living space & patio to the south, north & west out over the park towards downtown, Burrard Inlet, Stanley Park, Lions Gate Bridge, North Shore Mountains and beyond! Centrally located where the trendy Lolo meets Central Lonsdale. Walk to the many area amenities, shops & restaurants. Features in-suite laundry, One Parking & One storage. One small pet welcome!